One of the biggest challenges that many of us face when decorating our outdoor living spaces is space. While you may want to plant an entire backyard full of lovely flowers and greenery, what if you just don’t have the room? I would love nothing more than to fill my entire yard with gardens but you have to have room for other things, right? That’s where vertical gardens come in. I found 20 easy to make DIY vertical gardens that will give you more space for planting without actually taking up the space in your yard. Whether you have a small yard or you just have a lot going on outdoors and don’t really have the space for a full on garden, these DIY vertical gardens are perfect. They are all so easy to make and there are so many different styles and designs that you can choose. Whether you want to build a wooden vertical planter from scratch or just upcycle some old plastic bottles – yes, there is a DIY for that! – you can create the perfect garden space without taking up too much of your lawn to do it. And, you should really check out these 12 IKEA hacks for your lawn and garden. Vertical gardens are great for growing flowers, succulents or even vegetables. If you don’t have the space for a traditional garden, you can create your own vertical garden for potatoes and many other fruits and veggies. You don’t have to have much space available for these, either. If you live in an apartment or otherwise just don’t have the room for large gardens in your yard, vertical gardening is an excellent alternative. You get the plants that you want, and the vertical shape adds lovely design throughout your yard. You should also take a look at these 10 DIY insecticides that will keep your plants naturally pest free. Turn that fence or the side of your house into the perfect space for planting with this easy to build DIY cedar wall planter. This one is super simple and doesn’t cost much at all to build. You can adjust the plans to make it larger or smaller if you need to. It is perfect for planting succulents, flowers or you could create a stunning little herb garden from it. I love a project that lets me upcycle something that I would throw out and turn it into something new and amazing. 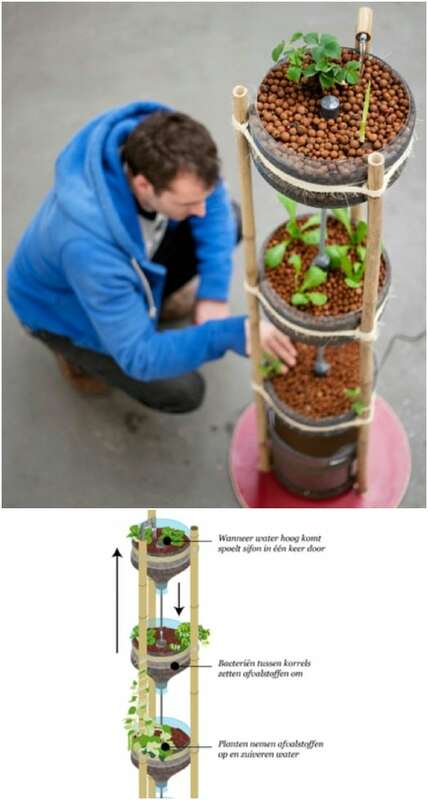 This tower garden uses empty plastic bottles to help you create more growing space for flowers, herbs or veggies. 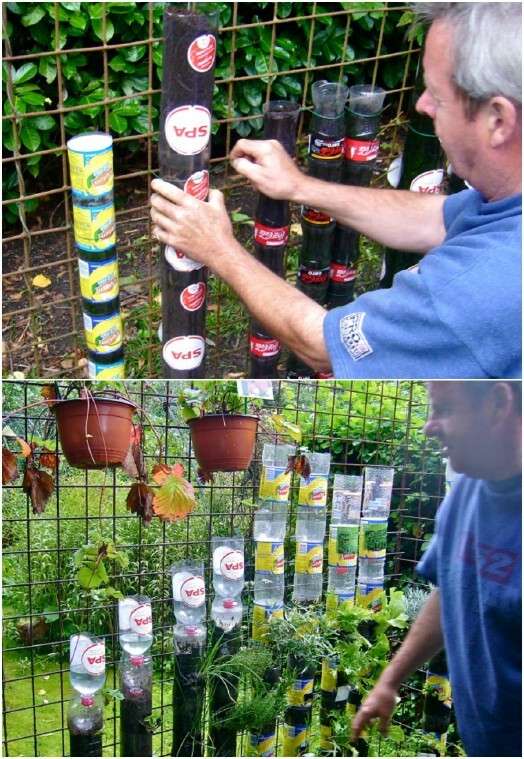 It’s a really simple DIY vertical garden to build and this is a great way to upcycle empty plastic bottles. 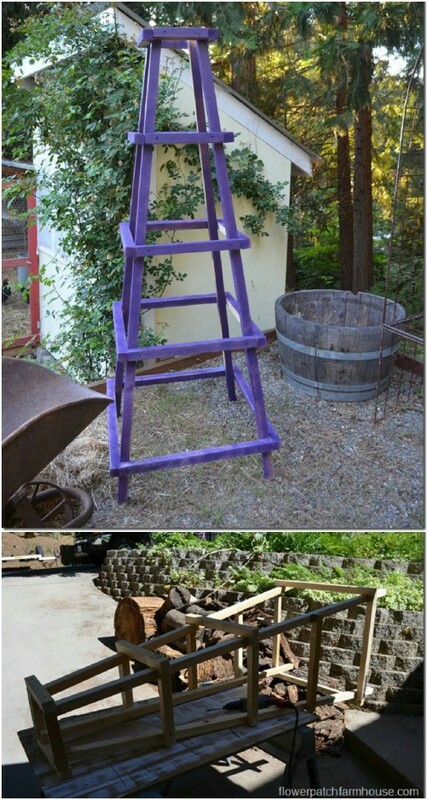 Build your own cedar ladder planter where you can house all sorts of smaller plants. This is great for standing up next to your fence or you could build a few of these and have them lining your backyard deck. You have loads of room for planting and they are perfect for succulents, flowers or herbs. Or, you could house smaller vegetables in these, as well. 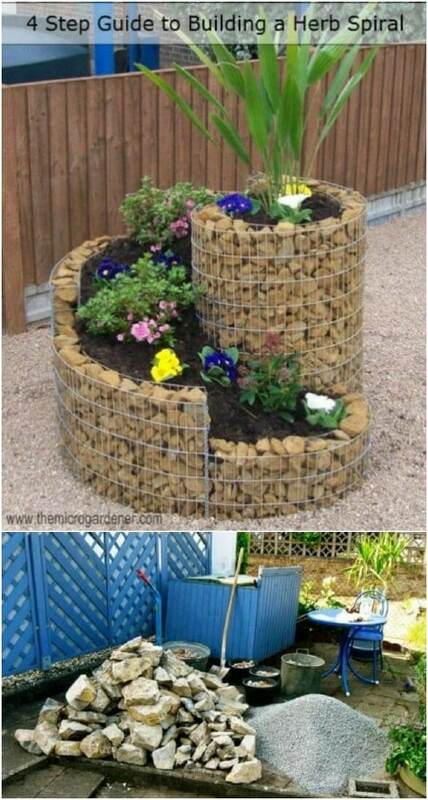 Some chicken wire and a few old pallets are all you need to create these gorgeous cone shaped planters. The chicken wire helps to hold in the soil and they hang easily from an old pallet. These are great for giving you extra planting and growing space and they really do add some beautiful design aesthetics to your lawn and garden area. A few cheap galvanized buckets and some wire give you the makings of a wonderful vertical garden. This one is almost too easy. You just plant in the buckets and hang them up. You will want to build a base for holding your buckets in an organized manner, but overall this is one of the easiest DIY vertical gardens you could build and it gives you loads of planting room. I love the look of this wooden pyramid tower. This thing will hold so many small plants – or you could widen the sections for larger plants. This is great for flowers, succulents, strawberries, seedlings or any number of other plantings and it is a really easy planting tower to build. 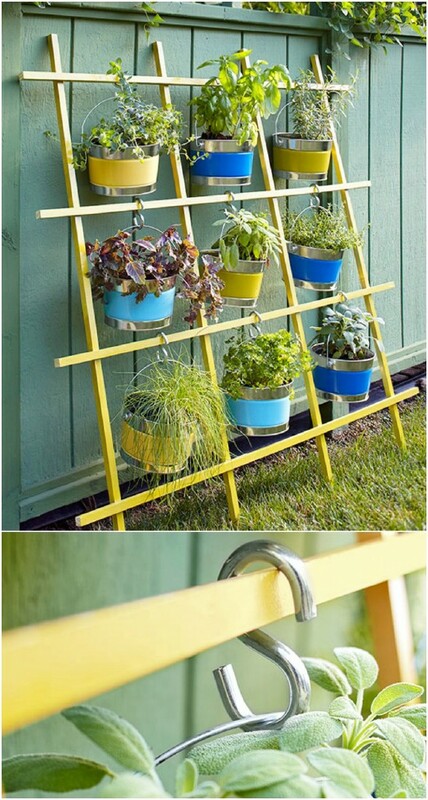 This will definitely take your vertical gardening up a notch! This DIY stair step vertical garden is really easy to build and it gives you loads of planting space. You could add as many or as few stairs as you want and then you just add the planters. Those rectangular planters at home improvement stores are perfect for this, or you could upcycle some old guttering. You could even do stairs on the backside to give yourself even more planting room. With some wire and a few other supplies, you can DIY these amazing towers where your flowers will flourish. These flower pot towers are perfect for growing all sorts of flowers and they will help you to fill your outdoor living spaces with colorful blooms even if you don’t have much room outside for a traditional flower garden. These are so easy to make and won’t cost much at all. You will definitely want to add this to your list of DIY garden pots. 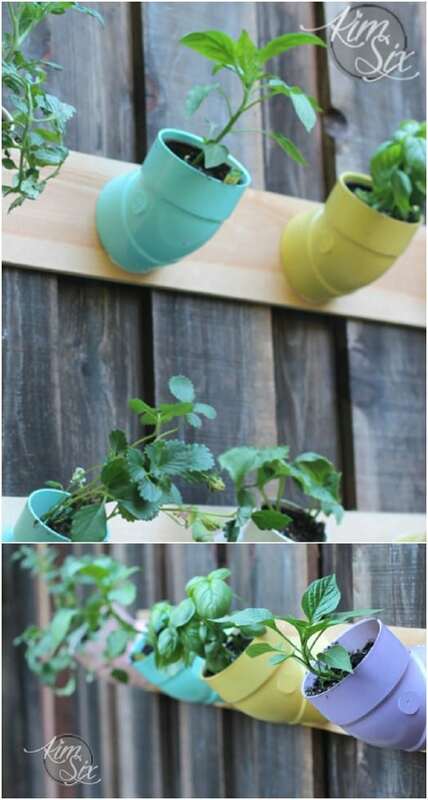 You can DIY this adorable hanging gutter planter and stand in just a couple of hours and if you happen to have some guttering and a few boards on hand, this one won’t cost you anything to make. It’s perfect for setting up an herb garden or you could plant succulents or small flowers in it. It stands up anywhere you have the space for it and gives you so much growing room! 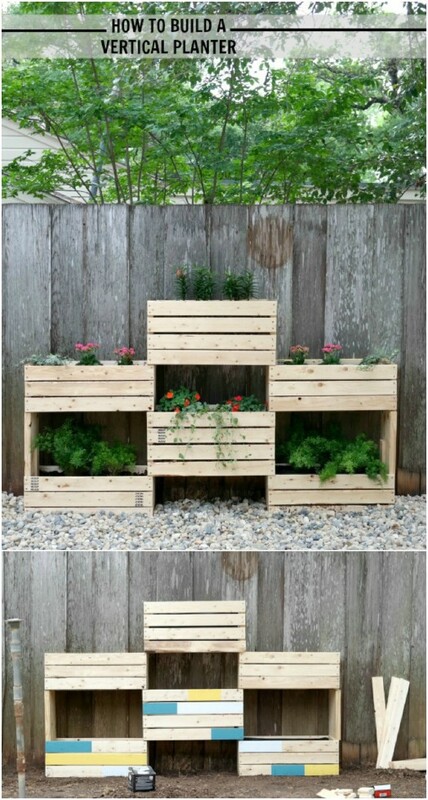 I love this vertical planter that resembles old wooden crates. You can build this one from scratch and it holds loads of plants. It has a nice rustic look to it too, so it is perfect for adding to your DIY farmhouse décor. You can put it near a fence, near your home or even in the middle of the yard if that’s where you want it. I love any projects that repurpose mason jars and this vertical wall garden is one of my favorites. You use mason jars to plant your flowers, herbs or succulents and then hang them on a DIY vertical wall that you make from an old frame and some chicken wire. You may have the supplies on hand to build this one, so it won’t cost you anything and even if you don’t, it’s one of the cheapest and easiest DIY vertical gardens on the list. 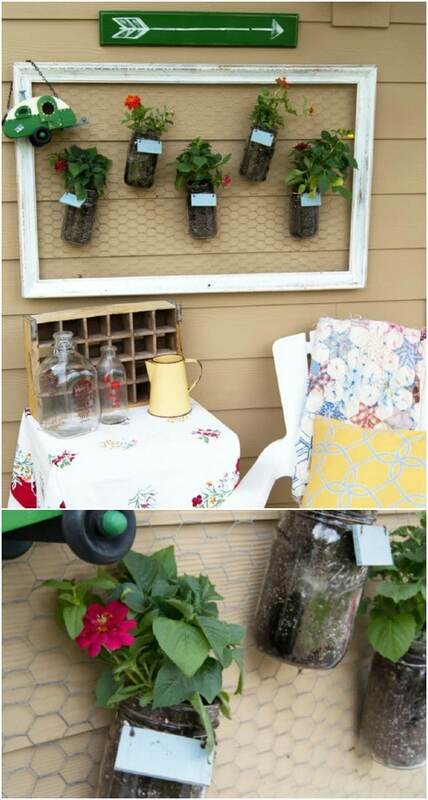 You can find so many wonderful mason jar repurposing projects for your home and garden! I really adore this mini aquaponics tower garden that combines an aquarium with a vertical garden to give you a very unique planter idea. This is great for outdoors or you could even use it in the house. Your plants grow in the tops of large plastic water bottles and you can use the bottom of one of them for the fish. This is a very economical system – the plants and fish help each other to survive! This Moroccan style vertical planter will give you so much color and design in your yard. It is a really easy planter to build – in fact, you don’t have to build so much as you just have to design. If you don’t like the idea of painting – or maybe you aren’t really a painted, then you could also use ceramic tiles for this project. Pick up some cheap designed tiles and just affix them to your pallet to create the design that you want. Potatoes are actually among the easiest garden vegetables to grow. In fact, you can grow your potatoes in a vertical garden, which gives you much more space for growing and helps tremendously if you have very little gardening space available. A potato tower is a relatively easy project to DIY and you just won’t believe how many potatoes you can grow in an upright container. PVC pipe is really cheap and you can do so much with it – like build this DIY vertical garden using those PVC elbow joints. If you don’t have any of those plastic joints lying around the house, you can pick them up at your local home improvement store or check with a wholesale hardware store in your area. You use the pipes to grow your plants and they attach to single boards or you could build this with a pallet, as well. You can take a rather thick piece of PVC pipe and turn it into an amazing vertical planter. 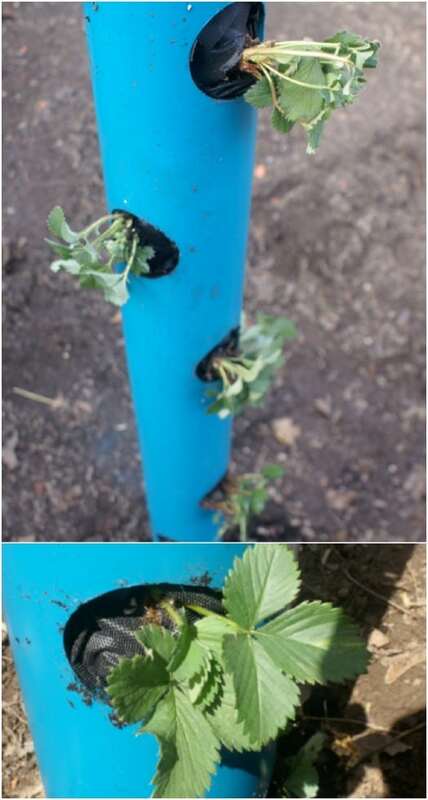 You just need one piece of pipe for each planter that you want to create and you can house several plants in one pipe. This is a really easy project and won’t take you longer than a few minutes to put together. It’s great for growing flowers and succulents. An old piece of trellis is all you need to create a lovely vertical garden. You can lean the trellis up against a fence or deck or build a stand to keep it upright all on its own. Once you have your trellis placed, you can just hang metal pails or buckets from it to house your plants. If you really want to have a lot of space, turn your fence into a vertical garden by adding trellis along the entire length of your fence for plant hanging. You can even build your own DIY trellis for this one. 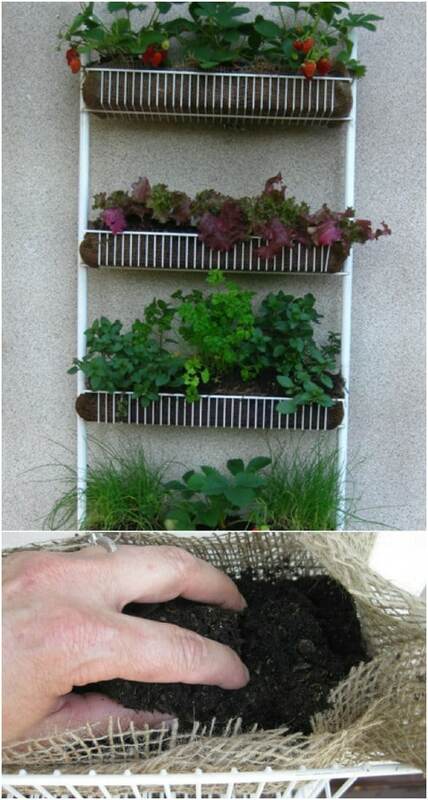 Put that old kitchen spice rack to good use by turning it into a quick and easy vertical garden. You can use this garden to plant herbs or succulents or smaller flowers if you just want something quick and easy for design. This is one of the easiest and cheapest ways to add some extra growing space to your home and garden. You can have the entire thing ready for planting in about 15 minutes. This spiral vertical garden is perfect for growing herbs or you could plant flowers or succulents in it if you prefer. It’s a pretty easy build. You make it from wire, like chicken wire and use stones to hold it together and give it a lovely look. It looks much more complicated than it is to build and is a beautiful addition to your outdoor living spaces. This pyramid shaped obelisk is great for growing everything from vegetables to flowers and herbs. It gives you loads of growing space and is really easy to build. You need a few boards – and you can use boards that you may have left over from other projects. You can easily build this one in a weekend – probably less than a day. Add a couple of them to really have some additional growing space. This is getting me in the mood for spring. 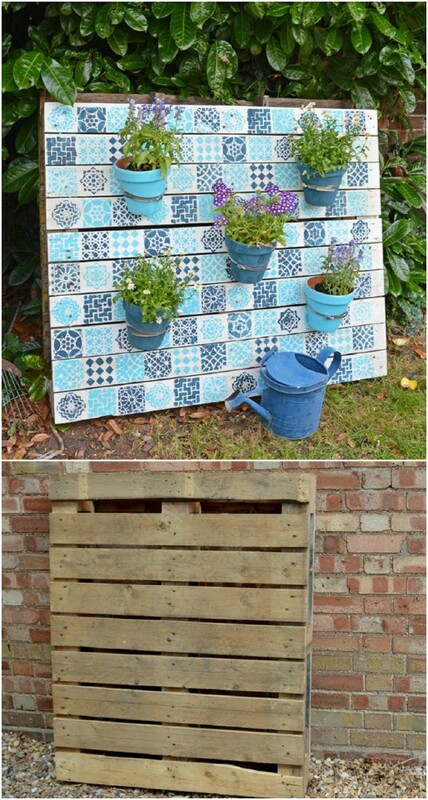 Thank you for including my stenciled pallet garden. Very different and creative ideas that are saving the planet.